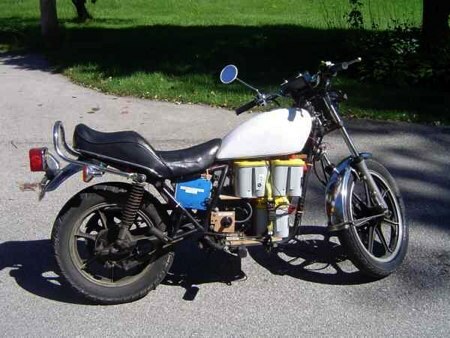 [Ben Nelson] didn’t even know how to ride a motorcycle when he started on this electric conversion of a 1981 Kawasaki KZ440. The engine wasn’t a loss since the bike was nonrunning when he purchased it for $100. The permanent magnet Etek motor was $500 and each of the four yellow top batteries were $160 (only three pictured). He says that the majority of the conversion work only took two weekends. 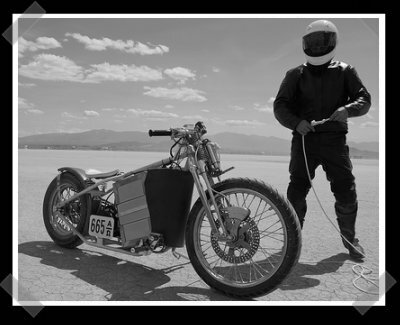 The resulting, still street legal, ride averages 20 miles per charge with a 45mph top speed. Builder [Justin Gray] brought a pair of electric motorcycles to Maker Faire last weekend. 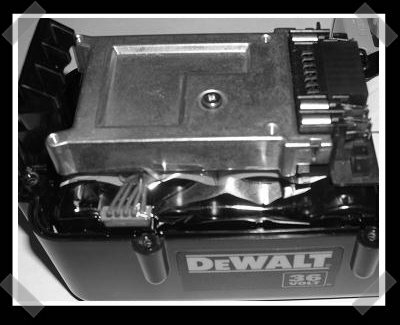 Pictured above is the R84, which has 28 LiFePo cells and an 84v AC induction drive providing 54HP. 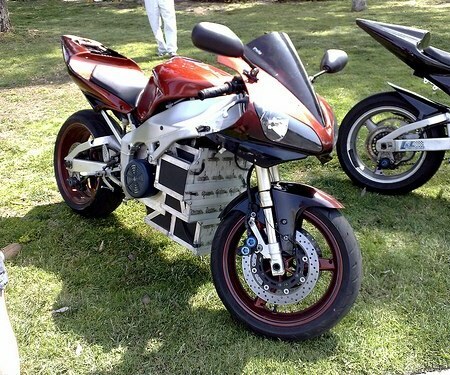 All of that is stuffed in a 2000 Yamaha R1 frame. You can buy it now for $14,000.